We visit the Topkapi Palace Museum, lavish home to the Ottoman Sultans. For centuries, this was the place from which the sultans rule dover an empire that streched from Western Iran to the Atlantic Ocean. Arranged around a series of spacious court yards, it contains a priceles scollection of jewelry , porcelain and costumes. Legend claims that the ancient rod on display in the Pavilion of Holy Relics is the one used by Moses top art the Red Sea. Its Pavilion sand fountains evoke a sacluded, hedonistic World. 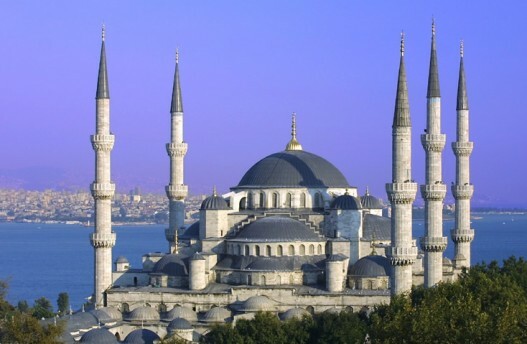 At one end of a large park stands the Blue Mosque, socalled because of its exquisite tile decoration. Its courtyard is exceptionally beautiful, and it is only mosque in Istanbul to have six minarets. Next we move on to the Hippodrome, which was the scene of chariot races and great public occasions through out the immensely long history of the Byzantine Empire. The afternoon starts at the Church of St. Chora, which has immaculately preserved early 13th century mosaics and frescoes that are among the supreme masterpieces of Medival art, with the Harrowing of Hellbeinge specially note worthy. We proceed to the Suleymaniye Mosque. 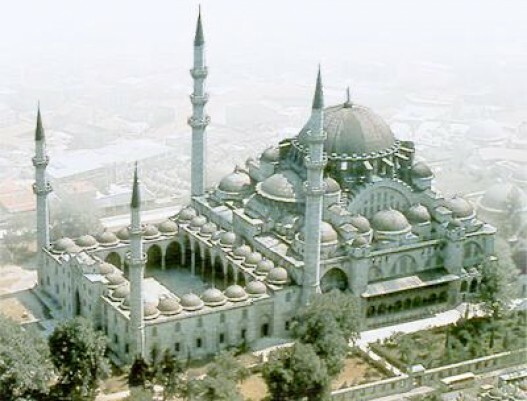 Designed by Sinan for Sultan Suleyman the Magnificent, this is the grandest and largest mosque in Istanbul. Its great dome and soaring minarets dominate the skyline of the Old City.